In homage to one of classic TV’s most argumentative couples, serve Archies and Ediths. 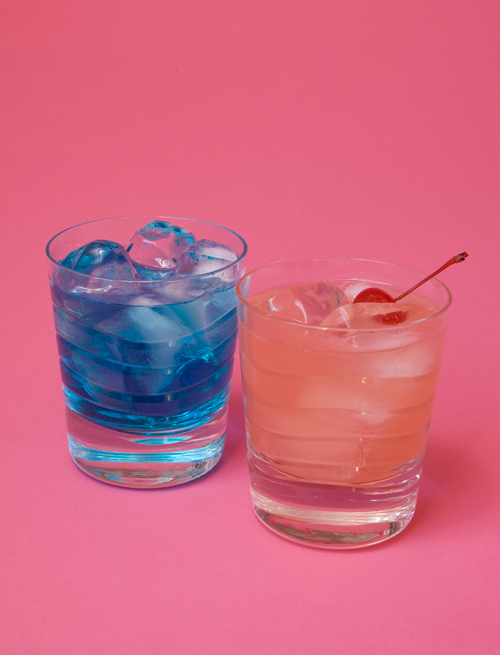 Though the blue Archies are meant for the men and the pink Ediths are for the ladies, we always encourage cross-drinking! Shake all the ingredients except the sparkling cider with ice and strain into an ice-filled glass. Add the cider and stir. *You can use the juice that comes with the cherries, but it’s more economical to buy the juice without the cherries if your supermarket carries it.